Do you want to increase sales? Does it seem like there a couple of sales reps that do really well while the rest of team struggles? As a Sales Leader, the first thing to ask yourself is whether or not your sales team is following the same process. Do you have a consistent sales process in place? 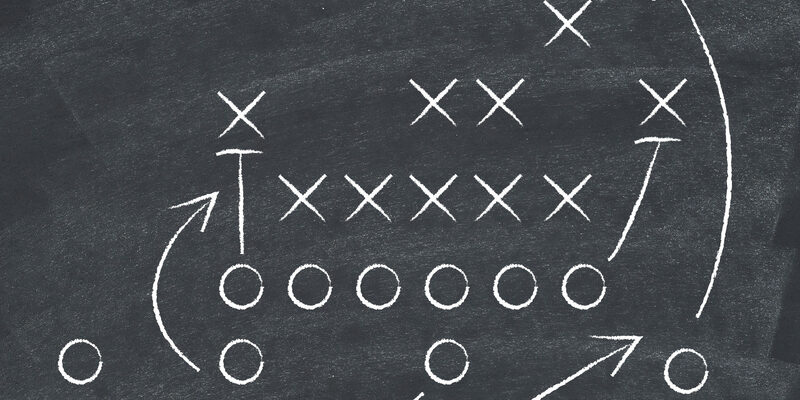 If not, a sales playbook can help your team become more predictable and scalable. A sales playbook is an ever-changing document that documents different components of your sales process. A playbook will define and outline your sales process; document your buyer personas in detail; provide the team with call scripts and objection handling ideas; copies of sample emails that can be used; your discovery, qualification, demo, and negotiation questions; proposal guidelines; your pricing strategy, and/or any competitive intelligence guidelines. In other words, your sales playbook prepares your sales team with all the content and strategies they need to close more deals. The sales landscape is changing everyday. One of the biggest changes outside of the way buyers are buying, is the need for a playbook. Sales playbooks have evolved over the last 5 years and are now considered to be an integral part of sales enablement strategies that are designed to make sellers more efficient and effective. According to Aberdeen Research, this is why 42% of best-in-class companies use sales playbooks, resulting in higher customer retention rates, higher conversion rates, more sales teams achieving their quota, efficient and consistent on-boarding of new sales reps, and an accelerated sales process. Although crafting a sales playbook takes a lot of time, you’ll start seeing the results almost instantly. First, training new salespeople is far quicker and easier when you have clear, explicit explanations of who your customers are, how they buy your products or services, what their pain points typically look like, what you should say to them, and more. Without a sales playbook, your reps are forced to learn this information ad hoc. Sadly, this is usually done by shadowing other reps, who may be making mistakes. Second, a playbook frees up time for selling. According to multiple different studies, salespeople spend roughly one-third of their day creating content; while only spending one-third of their day selling! Rather than having each rep develop their own messaging, questions, and resources to use with prospects, give them ready-made content. This lets them focus on selling. Third, a playbook helps you disseminate the most effective techniques to your team. If you notice one rep having success with a specific outreach method, you can share it easily with the entire team by putting it in the playbook! Maven Visitor, are you ready to see what a Sales Playbook can do for your team? Recent research conducted by Aberdeen Group found that companies that document and distribute their high performer best practices experienced sales cycles that are 10% shorter, sellers achieve 4% higher quota attainment, and most importantly, overall revenue growth is 7.9% better than peer companies.